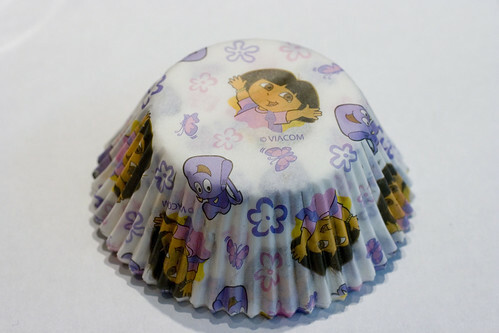 I used Dora cupcake liners, which are adorable, but oddly, the cupcake liners seemed to detach from the edges of the cake, which I’ve never seen before. 1. 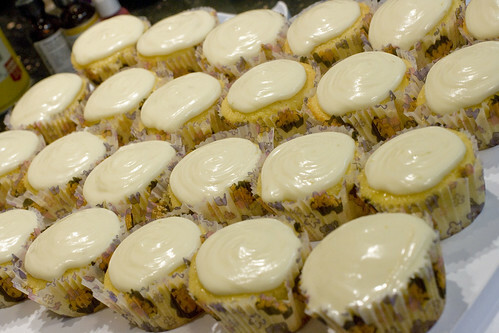 Preheat oven to 350 degrees F and put cupcake liners in tins. 2. In a medium bowl, stir together flour, baking powder, and salt. 3. 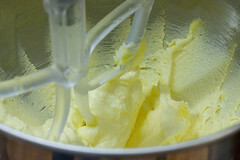 Cream together butter and sugar in a stand mixer on medium speed, beating with paddle attachment for about 5 minutes, or until light and fluffy. Beat in vanilla and lemon extracts, then the egg yolks one at a time. 4. Reduce to low speed and beat in one third of the flour mixture, then half of the milk, the next third of flour mixture, the rest of the milk, then the remainder of the flour mixture. Scrape down in between. 5. 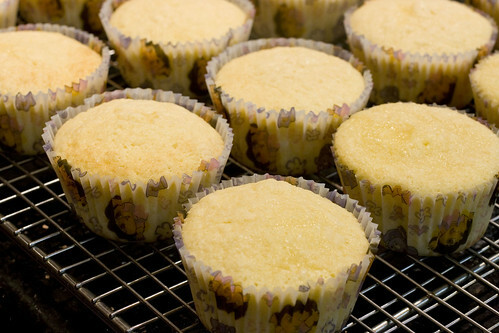 Spoon into muffin tins and bake for 13-15 minutes, or until toothpick comes out clean. Cool in the pans for 5 minutes, then remove to wire rack to finish cooling. 6. 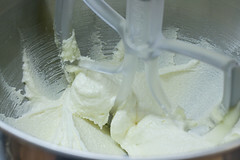 To make frosting, beat cream cheese and butter in a stand mixer on medium speed for 4 minutes. Beat in lime curd. Beat in confectioner’s sugar gradually. When it’s all in, beat another 5 minutes. *Note: This frosting is a bit soft and doesn’t hold shape well when piped. It tastes fantastic though so I would still use it for a different look. 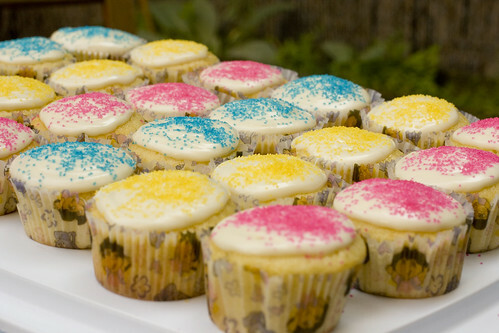 I chose to put some colorful sugar sprinkles on top (appropriate for a kids birthday party). posted by jessica	at 06:06 PM	Filed under Desserts, Recipes. You can follow any responses to this entry through the RSS 2.0 feed. Both comments and pings are currently closed. Normally I like sweet, chocolatey desserts but this was a winner! And it was perfect for a hot day. oooh…they look so SWEET! 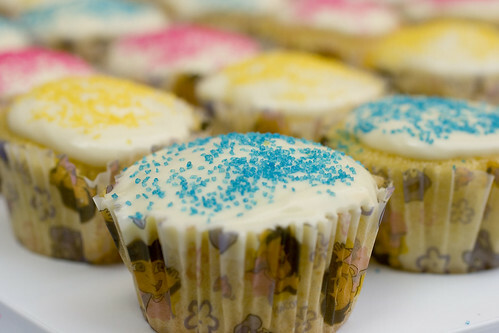 And haha, cute cupcake liners! I’ve had this problem of runny frosting before, and discovered a trick. Refrigerate it checking every 20 minutes to test it’s consistency. I don’t know why it works, but it does. even when it warms to room temp it doesn’t run after it’s been refrigerated. Cupcakes Take the Cake JUST posted the same question about the liners detaching. I didn’t read the results as I don’t bake and haven’t had that issue but you would probably be interested, just jump on over and search, hope it helps!